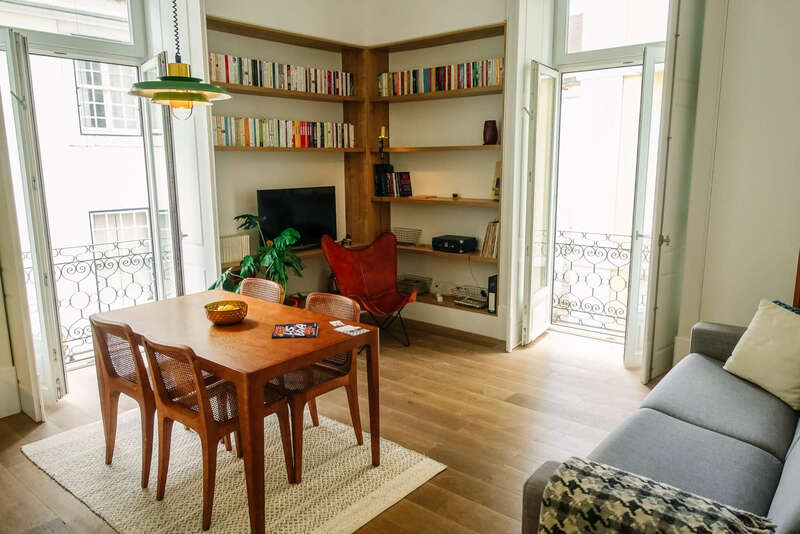 [LISBON, PORTUGAL] — Here’s a great boutique design hotel to stay in Lisbon. The Lisboans. When I got out of the taxi, I noticed the small, discrete sign out front, The Lisboans. I rang the doorbell and was buzzed in. A gregarious Mario welcomed me like a brother “You’re Dan?, we’ve been waiting for you, welcome to The Lisboans“. He brought me through a small door into a room full of six or so people at open desks, working on their computers. “Hi Daaan.” they all replied, with smiles. “Welcome to our Nerve Center where everything happens'”. Everyone goes back to clacking away. Reservationists. Web people. Housekeeping. All right there. So refreshing. On the wall was a big grid on a whiteboard, listing room numbers, check-in and check-out dates, and names scrawled next to each. First names only. Thomas. Rebecca. Karl. Patric. Antonette. Like a snapshot of Europe, right there on the wall. And there was my name, next to 1B. Dan. I could live here. Finally, I comfortable place with good comfortable seats. Bookshelves lined with not expected titles. Somebody put some thought into this. 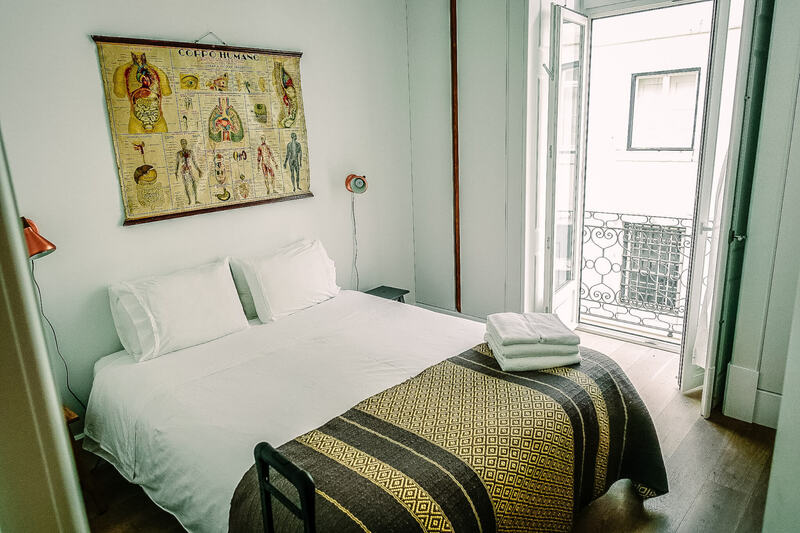 I’ve stayed in some nice hotels in Lisbon, and there are a lot of great boutique hotels. And even more full-building Airbnb apartments that have spread like wildfire across all the old abandoned buildings in once-desolate Central Lisbon. Most have been renovated over the past five years. 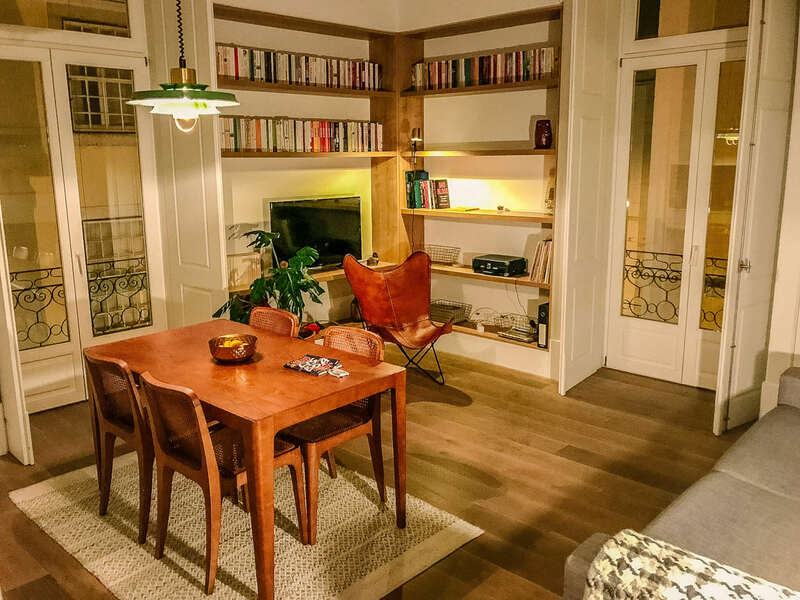 But The Lisboans is like the best of both worlds — it’s an “apartment hotel”, like an Airbnb but with guidance and advice from a super friendly staff. The building is a renovated old commercial building, recently turned into 15 stunning apartments, with living rooms, bedrooms, baths and cool furnishings. Each comes with its own kitchen that they stock with all the essentials for you. Like coffee, fruit, granola and they drop off fresh baked goods every morning before 8am. Four entrepreneurs — two former advertising art directors, a lawyer and an architect, “The Lisboans” — created this special idea when they found this classic old building and came up with the whole-building concept of well-designed, serviced apartments, a gourmet grocery store and a fine dining restaurant, all under one roof. I had a cool two bedroom with gigantic soundproof doors that close to be totally quiet. A huge living room, with comfortable chairs and stocked with books. 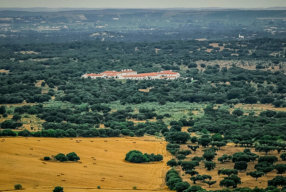 I’m bummed that I was only able to stay here one night, just and in-and-out stop from my trip to Alentejo. I had to wake up at 3:30am to make a 6am flight home. As soon as you walk in, it feels like a home. I could live here. Finally, I comfortable place with good comfortable seats. Bookshelves lined with not expected titles. Somebody put some thought into this..
There’s even a kitchenette, stocked with everything you need in the morning. Coffee. Yoghurt. Granola. Prosciutto. Snacks. Each item as well thought out as the furnishings. Just what you need, nothing more. I’m bummed I was here for only one night. This would be a great place to have friends over. 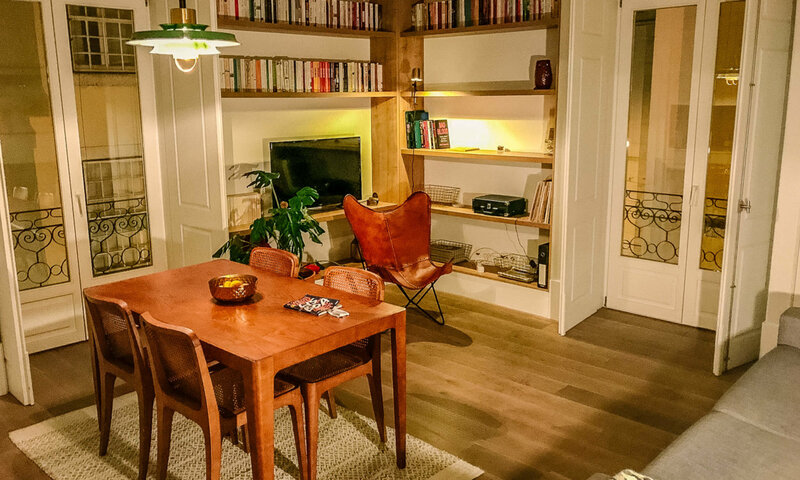 The place has a sweet little kitchenette, with a small stocked fridge, a cooktop, a welcome bottle of wine to get you started. Another cool thing they do: It’s a keyless experience. The same code lets you into the building, to your room. Mario was smart. “Take a picture of it now in case you lose it.” I did. And I did. 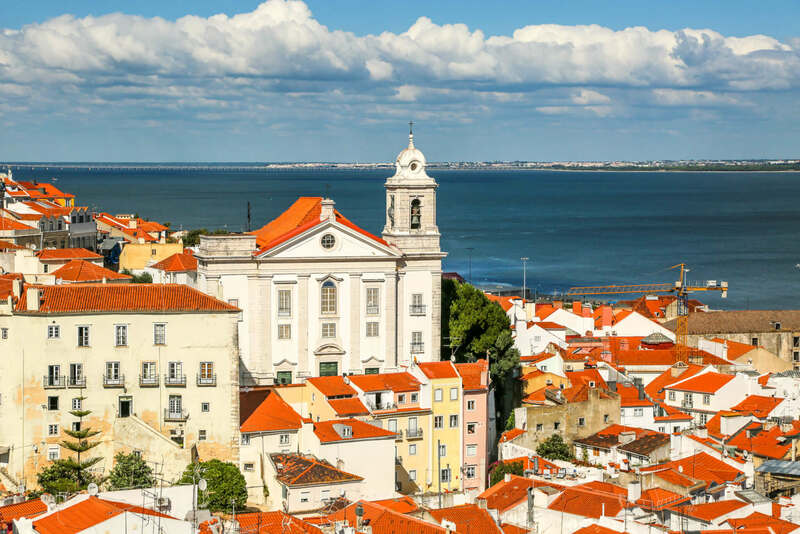 The Lisboans is in Central Lisbon, between Baixa and Mouraira districts, a block from the Lisbon cathedral. It’s one-off location means it’s quite, the thick soundproofed doors block out the erroneous street noise instantly. The bedrooms are perfect. With a stiff, non-saggy mattress and nice sheets and coverlets that I want to buy. I slept like a baby. The thing I loved was opening the windows. The cacophony of noise from the neighborhood streets. But they are soundproofed and shut tight, instantly filtering out the noise below. The bathrooms were awesome, with cool Portuguese tile. Their own bulk bottles of shampoo and conditioner, ready when you are. 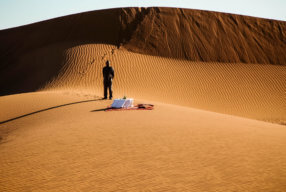 One review I read said “This is a five star experience without paying a five star price.” With rooms that are double the size, at a fraction of the cost. In the same building are sister businesses. A gourmet grocery. A surprising fine dining restaurant called Prado. I wasn’t there long enough to see the little market grocery, but did get to stumble upon an incredible meal at their sister restaurant Prado, next door. If you stay at The Lisboans, you can get a 10% discount here. 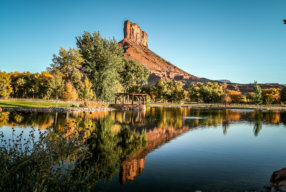 More about that place in my other post. I stopped in the sister restaurant Prado because it was convenient, next door and I was hungry. Boy was I blown away. More details on my other posts. 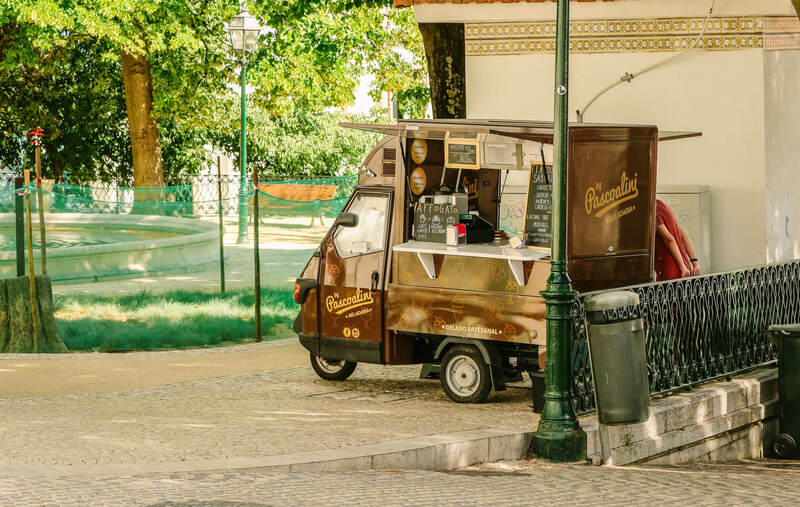 Whether you’re staying at The Lisboans or not, this is where you need to eat. 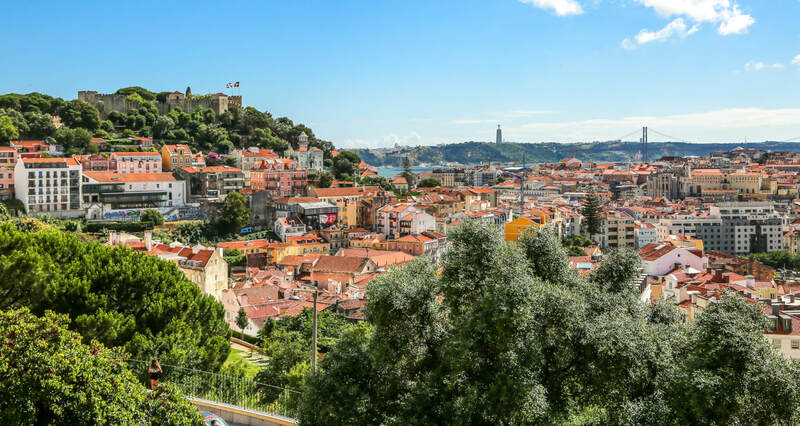 I’ve stayed in Lisbon before, in Barrio Alto and the Embassy District, but always shied away from the Central District, Baixa, But I fell in love with this one-off location just below the Castelo do S. Jorge, right between the hip Mouraira district and close to everything you want to see. My favorite was the cool custom map they hand out with all their favorite places to skip the endless crowds. 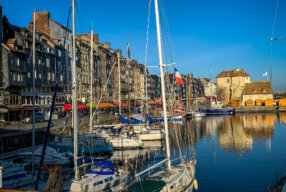 Cool local restaurants (and the best famous ones), great shops, underknown views and out of the way places. You can download it here! 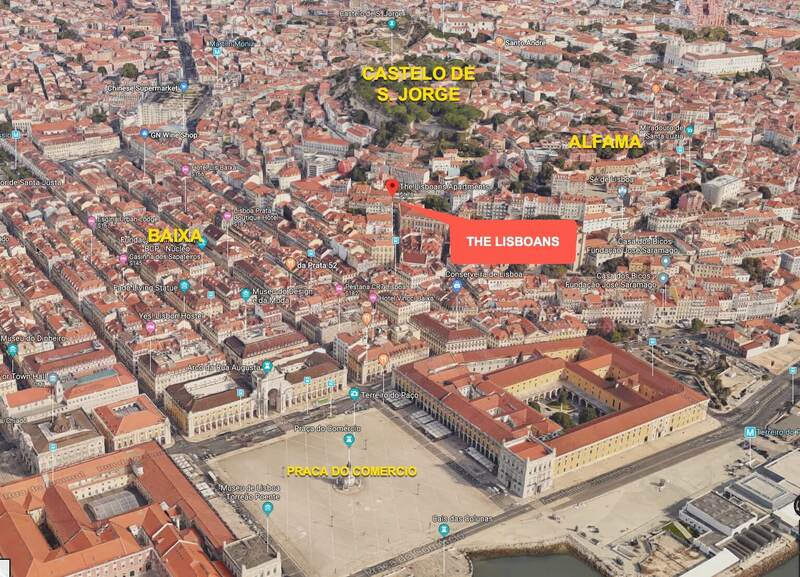 My favorite thing about The Lisboans was the cool map they give you of all of the best sites to see, their favorite local places, restaurants, shops and views. And how to avoid the mobs of tourists. The old school map has everything you want to see. Offbeat local restaurants, def tourist must-sees, shops, best views, etc. That alone is worth the price for admission. 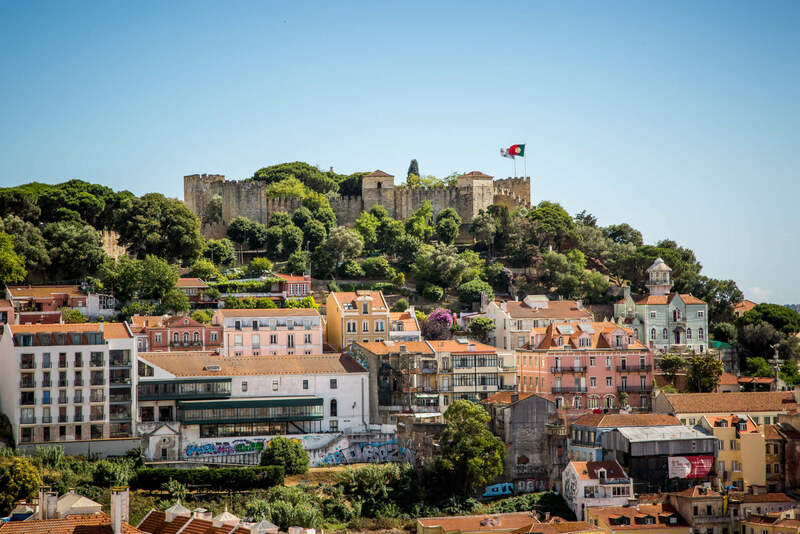 Castelo do S. Jorge. Definitely go up here, preferably in the morning, before all the crowds get there. Here’s the listing where I found and booked The Lisboans, in the always reliable and selective Mr & Mrs Smith Hotels. And The Lisboans website. 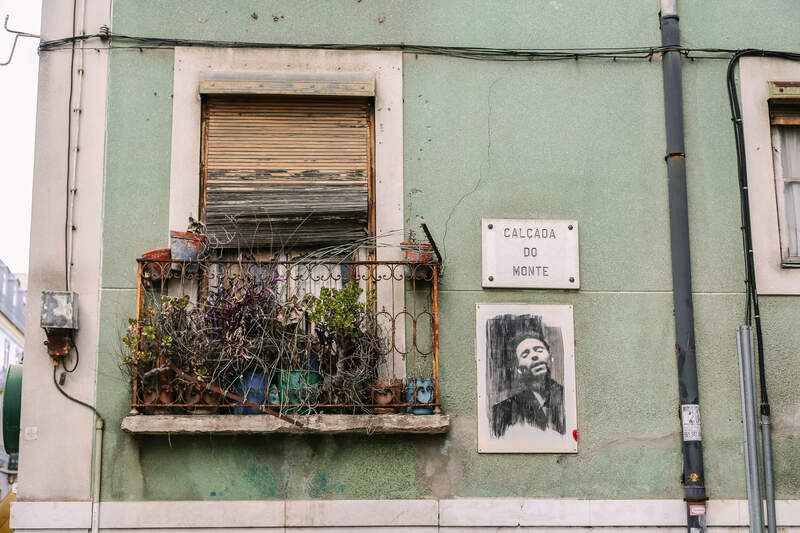 Absolutely stunning photos of The Lisboans in Pretty Hotels review. 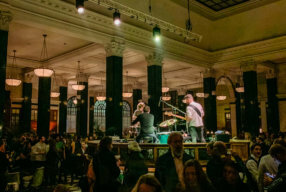 And a beautiful review by the beautiful Georgia Hopkins on A Hotel Life. Five star reviews on TripAdvisor. 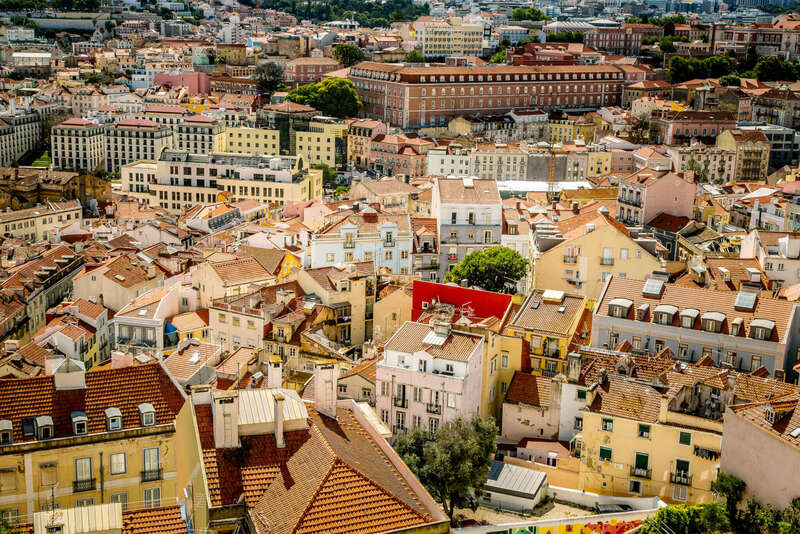 Here’s a great feature on The Lisboans and top things to do in Lisbon in Vogue. 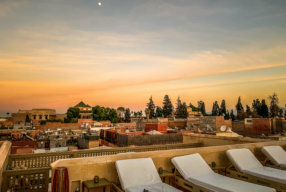 And a listing and honest review in one of my favorite boutique hotel sites i-Escape. 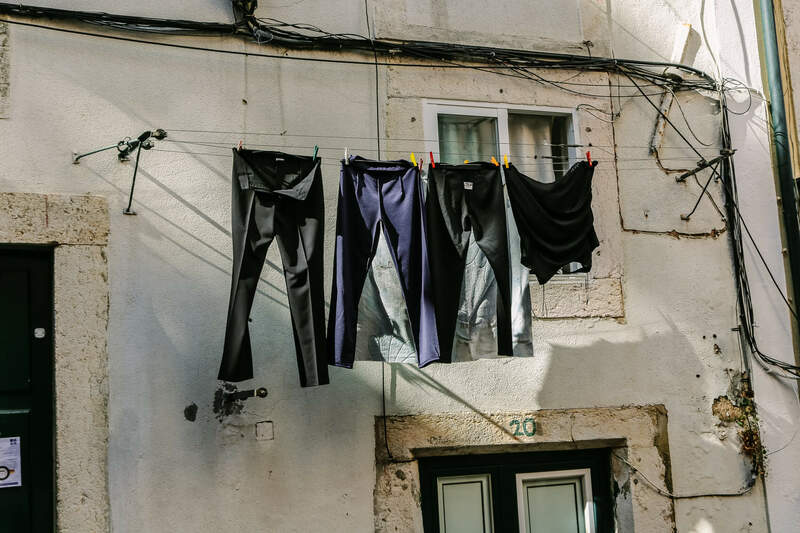 Here are other posts I’ve made all about Lisbon. Boutique hotels, restaurants, things to do. And a great article in The Guardian on the best new restaurants in Lisbon. 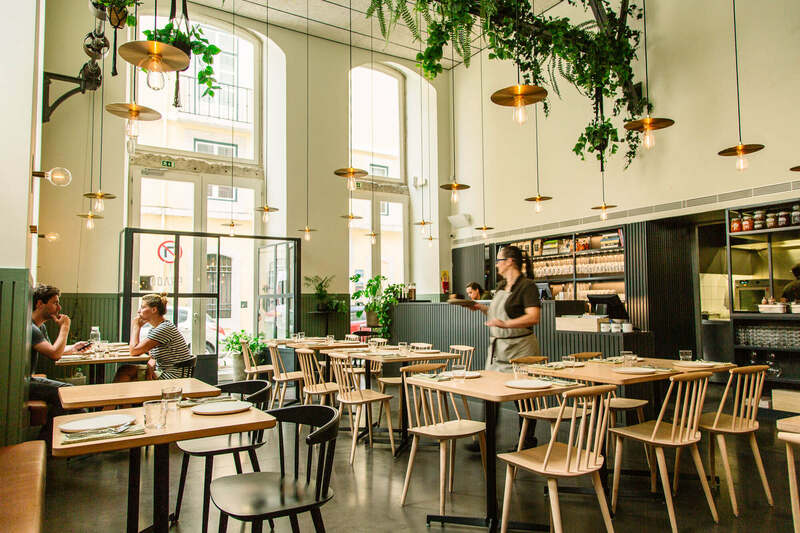 And a perfect roundup of Lisbon’s top restaurants in the UK Conde Nast Traveller. So enjoyed reading your review and I was interested because like you I’d never been much interested in staying in the Central District. Though we were at a wonderful delicatessen once in the area close to where you stayed. Love the idea of the space of an apartment with the guidance of a good hotel!